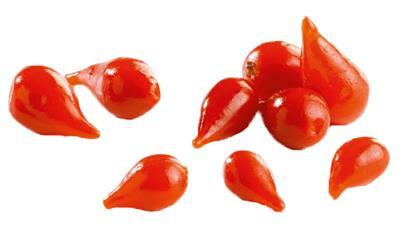 This product is a variety of tear drop shaped, small red pepper which are originally from Peru. They have a sweet and sour flavour along with a vibrant red colour. They can be used for antipasti platters, salads, sandwiches and pizza toppings.